They are the faces of enthusiasm, of adventure, of leadership, energy and a passion for the outdoors. They are summer camp counselors in Minnesota. Friends, surrogate moms/dads, teachers—they are all of these and none of these. They are young people. Who care. I never had the opportunity to attend summer camp while growing up—there was no money for such extras. But my younger siblings did. When I had children of my own, I determined they would go to summer bible camp no matter the financial sacrifice. My girls, from kindergarten age on, every summer, went to Camp Omega near Waterville. The first time I sent my eldest away for a weekend, I wondered how I would make it through camp. Me. Not her. I survived her absence and she thrived in the serene setting of woods and water in the care of faith-focused counselors. Amber loved Camp Omega so much that she eventually volunteered there during high school and then worked two summers as a counselor. The friendships she forged and the confidence and faith-growth she experienced were immeasurable. Some things cannot be taught by parents at home. Some must be learned in a canoe, in a raucous competition, on a climbing wall, around a campfire roasting marshmallows, in a circle of new friends with a counselor strumming a guitar, in the top bunk of a lumpy bed with whispers in the dark and the brush of branches against roof. Mosquito bites and sunburn. Raccoon eyes and bounce of a flashlight. Rousting out of bed and falling asleep exhausted from a day of running and screaming and breathing in all that fresh air. Camp. Counselors. Summertime in Minnesota. Minnesota Faces is a series featured nearly every Friday on Minnesota Prairie Roots. Summer Camp is a great experience for youth. I vividly recall an incident at the BB gun range where ground wasps were in the bank behind the targets we were shooting at. We all ran very quickly to the lake getting stung the whole way. Now that’s a memorable camp experience. Stung 17 times in the back – yeah, I won’t forget that. Oh, that had to be painful. I also have a horrible stung-by-wasps memory. I stepped into a mess on wasps at the base of a tree and was stung around my ankle. I have no idea how many times. But my mom took me to “Doc Pete” and I got some pink stuff to swab on the stings and I had to keep my foot out of the bathtub. Getting stung is no fun. I have fond memories of Summer Camp 🙂 I even went Winter Camping growing up when the family would go on snowmobiles into the woods for a weekend. I also did a Winter Survival Camp – that was a great experience. No wonder you are a true adventurer. “Mosquito bites and sunburn. Raccoon eyes and bounce of a flashlight. Rousting out of bed and falling asleep exhausted from a day of running and screaming and breathing in all that fresh air.”……yup, that was me the year I volunteered (as an ADULT!!!!) at our Baptist camp at Trout Lake (MN). I was in charge of a cabin of 18 TEEN girls and, no, it wasn’t just a gals’ camp week!!!!! There were guys there, too!!!! That last part of the above quote did NOT apply to me!!! I don’t think I slept but a couple of hours each night!!!! It was an incredibly fun, exhausting week and I’m so glad I did it (from my “years after” vantage point, of course!!! LOL!!!!). You were a brave soul. And don’t forget all the “friends forever” that the kids meet. Ah, yes, definitely an important part of camp. I never went to a summer camp, but like you…. my kids attended church camp which I believe helped make them who they are today. My son Brice especially has lasting friendships from his camp days! I know how important church camp has been in your family’s life. It does make an impact, in a powerful and positive way. I didn’t realize your daughter had been a counselor at Camp Omega. 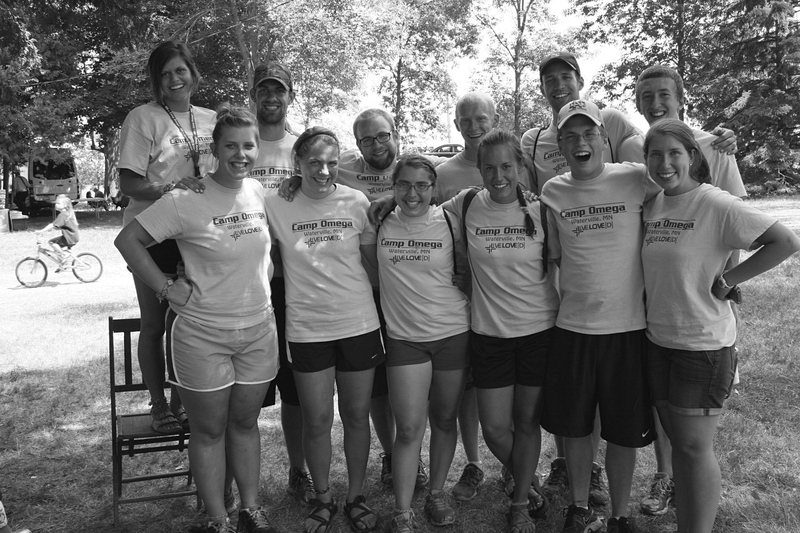 I’ve met a lot of great counselors at Camp Omega over the years. It’s amazing to me how they always find such great young people to work so hard for so little pay each year at camp. You’re right. They work hard for minimal pay. But it’s because they love it and have a passion for serving the Lord through ministering to youth. That sounds like a great time. I’ve been camping several times but I never went away to camp. My girls loved Camp Omega. Have your kids gone to camp? Absolutely. I thought camp was something that existed everywhere. I just learned something new from you. I think the camp experience is good for both kids AND parents. We need to let go and they need to learn to trust others.